The Nissan patrol 4x4 is an SUV with extreme power, class and comfort that brings the best of SUV to the driver and the passengers. There are 5 different kinds of Nissan patrol 4x4 SUVs available in the market today. Each one of them comes in both automatic and manual models. The 5 different Nissan patrol 4x4 SUVs available today are DX (4x4), ST (4x4), ST N-Tech (4x4), Ti (4x4) and Ti-L (4x4). The interiors are suave and classy with a touch of comfort that cannot be found anywhere else. A car is all about the aesthetic look of the exterior and the interior both and there is no point in buying Nissan patrol 4x4 interior accessories if you don’t know what to buy. They come in a wide variety, each having a different purpose. 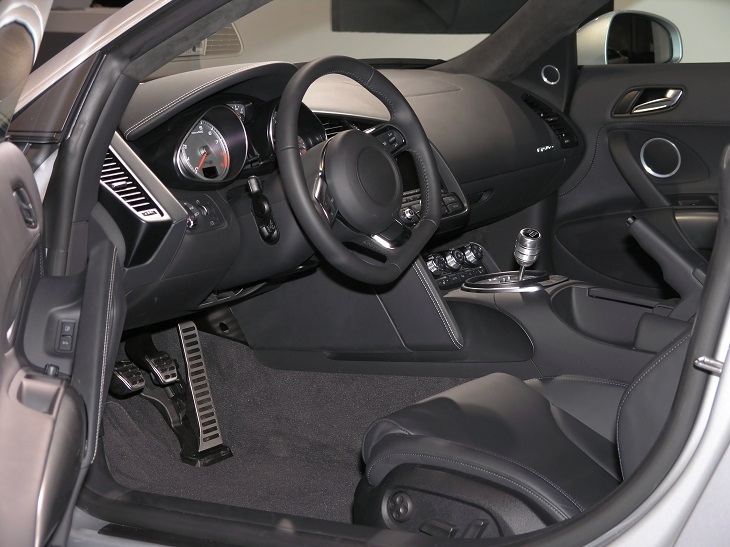 Therefore, buying the right interior accessories is crucial to have a comfortable ride every time. CCD Rear-view Camera for Nissan Patrol –This is a must-have accessory in a Nissan patrol SUV. A CCD rear-view mirror not only facilitates backing up or reversing the car but adds a high-tech look to the entire interior as well. The shell is made of plastic and contains a lens that captures the rearview picture for the driver to figure out how to reverse the car. The general length of the wire is 6m and has a guiding line as well. Central Armrest Storage Box Container Tray for Nissan Patrol – The entire point of the central armrest storage box is to provide convenient storage space for small yet important things. The entire package is extremely light-weight (weighing only 0.3kg) with 30cm x 20cm x 20cm being the size of the package. This is more than enough space to store important stuff and use them whenever needed. Gear Shift Panel Drive Control Switch with Dust-Proof Cover – This item, made of silicone, is hard and comes with a cover to prevent dust from settling on it. It is compatible with Patrol Y62 and is situated right behind the gear in the gear panel. This is one of the most important Nissan patrol 4x4 interior accessories available today. Non-Slip Mat Interior Door Mats – These are comfortable and easy to clean. They are often available in different colours and patterns, depending upon the brands. They are often made of latex (ABS material and rubber material). It comes as an entire set with mats for almost every part of the interior of the car. 6 X Error Free Car LED Vehicle Interior Map Dome Door Lights Kit Package – Starting from the interiors of the car to the number plate of the car, the LED map door interior light kit covers it all. They are made of 5050chip and come in a variety of ambient and warm colours. They do not consume too much power and yet illuminate the interior of the car efficiently. Leather Car Seat Covers and Mats – They are made of artificial leather and provide comfortable cooling and ventilation to the occupant of the seat. It is greatly comfortable especially when it comes to cooling while travelling. These are some of the most important Nissan patrol 4x4 interior accessories that you must have if you own a Nissan patrol 4x4 and if you want an uncompromised experience while travelling.